Korean Studies: A Multidisciplinary Journal on Korea and Koreans Abroad celebrates its 25th year in 2017. With that milestone also comes new leadership with editor-in-chief Christopher J. Bae of our very own University of Hawai’i at Mānoa. Read more about his background and goals for the annual publication in our interview below. 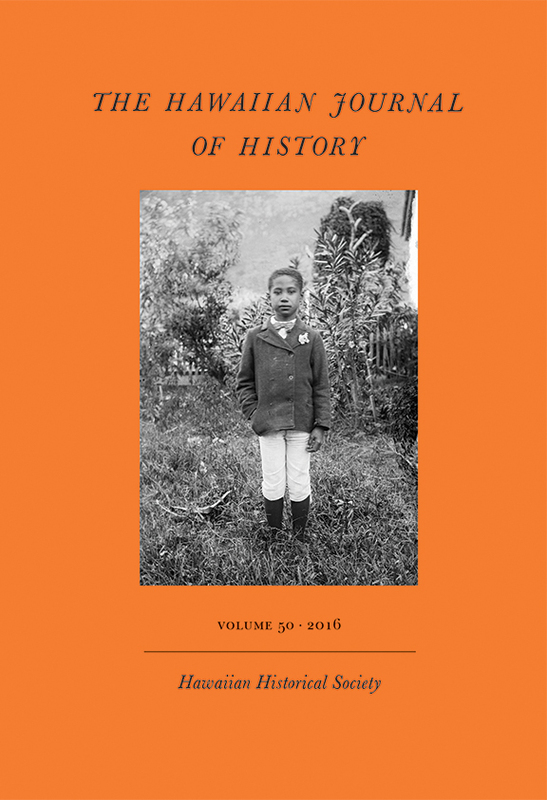 You may also preview early release articles from the forthcoming volume or browse archives of the journal on Project MUSE. Christopher J. Bae, an UH Mānoa professor of anthropology and the new editor of Korean Studies, is shown here at an excavation site in Korea. Tell us a bit about yourself and your new role as editor of Korean Studies. I am a full professor in the UH Mānoa Department of Anthropology, and I specialize in the field of Asian paleoanthropology (human evolutionary studies.) I particularly focus on early human sites and materials in Korea, China, and Japan, and have recently started to investigate setting up similar research projects in Southeast Asia. So the connection for me with Korean Studies is that one of my core areas of focus is Korea, as I have worked there for the past quarter century collaborating on a diversity of projects related primarily to Korean prehistory. The invitation to take over the editorship of the journal actually came as a surprise to me as the previous editor(s) have been doing a fine job managing the journal. That being said, I was honored to be invited to take on the role of editor of the journal as it is one of the oldest and most prestigious Korean studies focused journals outside of Korea. How has Korean Studies evolved over the years? 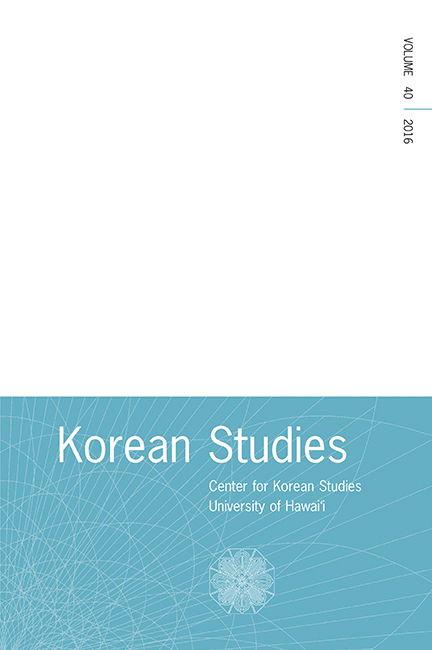 Korean Studies was started by the Center for Korean Studies at UH Mānoa in 1977. It is a journal that is published annually and we will publish our forty-first volume this year. The main goal of the journal has always been to publish original research on Korean studies from humanities and social science perspectives. That goal has not changed since its inception. One minor change perhaps may be that we have become more open to publishing conference proceedings in the journal. For instance, in Vol. 37 (2013), we included a special section titled “Urban Cultural Landscapes of Colonial Korea, 1920s-1930s” that featured papers from a two-day conference held at the Center for Korean Studies at UH Mānoa in February 2012. Have you learned anything interesting from your first months as editor? Probably the most interesting aspect that I have learned since taking over the editorship is how broad Korean studies really is. I personally am learning a great deal about the different fields and how they contribute to the broader picture of Korean studies generally. Korean Studies is serving to broaden my own horizons in this area and from that perspective I really enjoy serving in this role. In your field, what issues are particularly relevant right now? North Korean politics is probably one of the hottest topics within Korean studies right now. As such, one of the first decisions I made after taking over the editorship was to invite Victor D. Cha, currently one of the most prominent U.S.-based specialists on North Korea, to contribute an article to Korean Studies. Cha’s piece “Informal Empire: The Origins of the U.S.–ROK Alliance and the 1953 Mutual Defense Treaty Negotiations” will appear in Vol. 41. I anticipate Cha’s paper should be well-received and well-cited. Do you have any advice for academics interested in submitting to your journal? We are open to submissions on any topic related to Korean studies. But if an author is not sure whether his/her manuscript may be suitable for our journal, they should contact the editor directly. We have new Author Guidelines posted online (click here). It would help any potential authors to make sure their manuscripts follow the Author Guidelines closely before submitting their manuscripts. What’s next for Korean Studies? Since taking over the journal, I have started to make a number of changes. In particular, the journal now has formal Author Guidelines and a “News and Comments” section where authors may comment on previously-published works either in our journal or elsewhere. We are also moving to an online submission system, which should be up and running by the end of the year, if not sooner. Because Korean Studies is such a broad area journal we will continue to be open to publishing manuscripts from various disciplines that cover Korean studies. But one area I see us publishing more on moving forward is the growing area of Korean-American or simply “Koreans abroad” types of research. For instance, studies on Korean immigrant history to places like the Americas, Europe, or Australia/New Zealand are particularly interesting. “Race” relations and how Koreans have assimilated/acclimated to new environments are also highly pertinent, especially given that this year marks the 25th anniversary of the famous Rodney King Riots in Los Angeles, California. Korean Studies, edited at the University of Hawai‘i Center for Korean Studies, seeks to further scholarship on Korea by providing a forum for discourse on timely subjects, and addresses a variety of scholarly topics through interdisciplinary and multicultural articles, book reviews, and essays in the humanities and social sciences. All scholarly articles on Korea and the Korean community abroad are welcomed, including topics of interest to the specialist and nonspecialist alike. 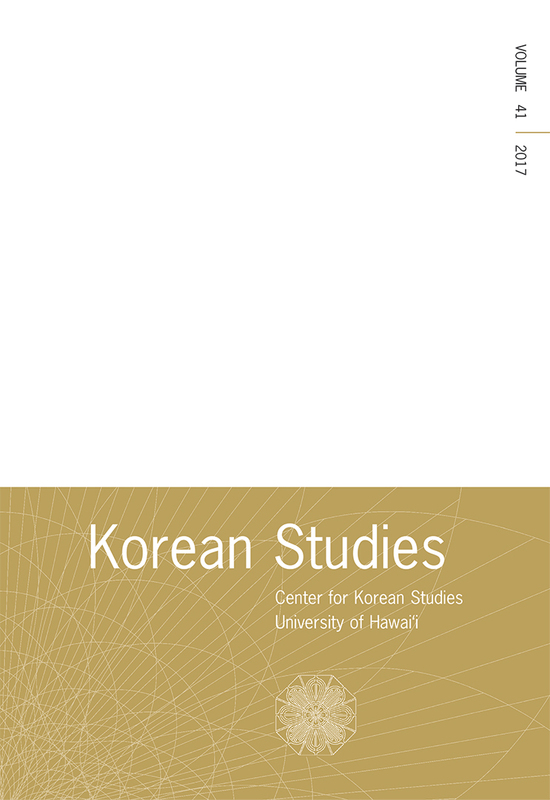 University of Hawai’i Press is proud to present the early release of the following articles from Korean Studies through a partnership with Project MUSE. Please note: Early release manuscripts have been through our rigorous peer-review process, accepted for publication, and copyedited. These articles will be published in a forthcoming issue of the journal. These articles have not yet been through the full production process and therefore appear in their manuscript form, which may contain errors. These articles will be removed from the early release page once they are published as part of an issue.